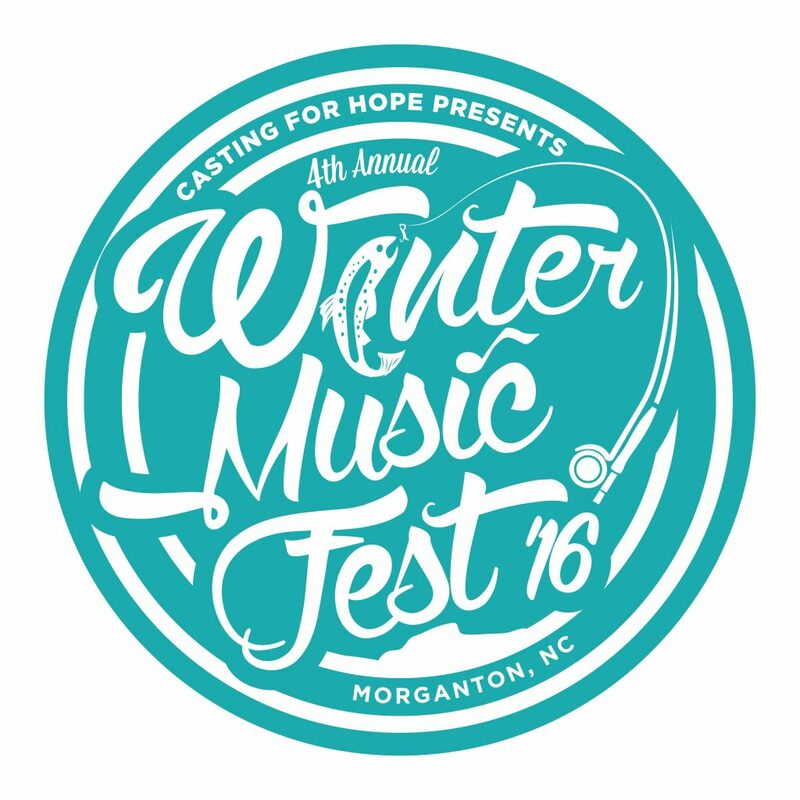 Casting for Hope Presents the Casting for Hope Winter Music Fest with pre-concert benefit dinner and post-concert after party. We will rock out to the pure poetry of a full-day suite of local, regional, and national music acts on on December 17, 2016 beginning at noon at CoMMA in Morganton. The benefit dinner will start at 5:00 at First Baptist Church of Morganton. The Main Stage concert series will curtain at 7:00 at CoMMA in Morganton with an opening performance from Travis Book from the Infamous String Dusters and Asheville native son Jon Stickley followed by Casting for Hope’s favorite band making their fourth annual appearance with us. The Music Fest performances with start at noon at CoMMA and go through four acts until 5:00. The after party, being serviced by Appalachian Mountain Brewery and Countryside BBQ, will take place at CoMMA for V.I.P. and Deluxe ticket holders. V.I.P. and Deluxe tickets are available through Co-Founders John Zimmerman and Taylor Sharp. V.I.P. tickets ($75 + tax and service charge to CoMMA) grant entry to all three events; Deluxe tickets ($50) grant entry to the concert and the after party. We can’t wait to see you there. These tickets will sell out quickly. Email Taylor and John now to get your hands on those. Regular seating tickets for the music festival only are available through the CoMMA box office or online at www.commaonline.org.